A movie can often only be as good as its villain. Luckily for Marvel, Tom Hiddleston stole the show in both Thor and The Avengers as the god of mischief Loki. 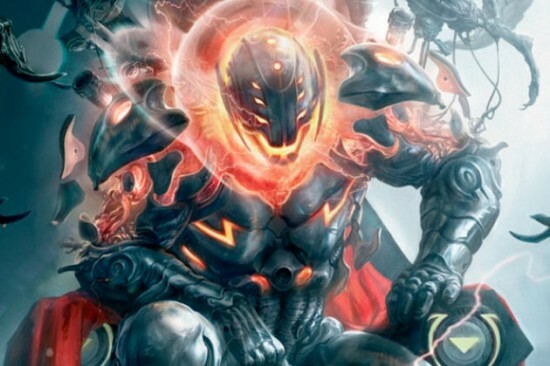 With Loki appearing to play a large part in Thor: The Dark World, it is time for someone else to step up to take the fight to Earth’s Mightiest Heroes in the titular role as Ultron. Most likely in the style of Darth Vader being voiced by one actor and having another inside the suit, James Spader has been formally cast as the villain in Marvel’s movie franchise. Hopefully there will be a way for the character to emote facially to capture the talents of Spader unlike Willem Defoe’s role in Spider-Man. Even though he appeared in the non-vampire slayer version of Lincoln, Spader has some geek cred going back almost twenty years to Stargate. Still unnamed for Avengers: Age of Ultron are the actors behind Quicksilver and the Scarlet Witch. It will be interesting to see who gets cast as the brother and sister combo and if Marvel touches on their origin which includes a father who is tied to another Marvel franchise under the control of Fox. Personally, I vote for a real life brother and sister like Jake and Maggie Gyllenhaal to make the awkward sexual tension between the characters that much stranger.